Owners of A65 or A60 GPS-Chartplotter devices may now rejoice because the upgrade they’ve long been waiting for has arrived. 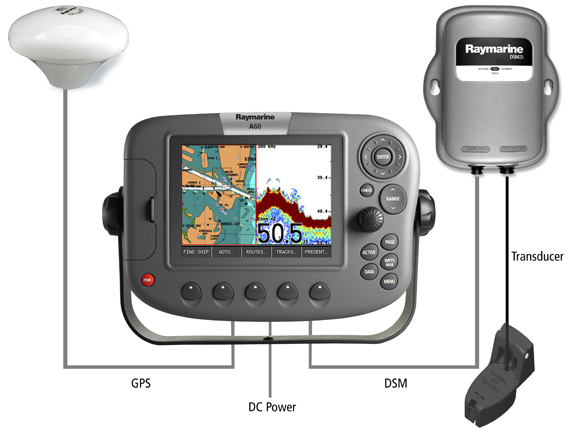 With the new DSM25 Digital Sounder Module, they get all the features of an A60 or A65 together with the patented HD Digital technology for fish-finding quests from Raymarine..
Owners of A65 or A60 GPS-Chartplotter devices may now rejoice because the upgrade they’ve long been waiting for has arrived. With the new DSM25 Digital Sounder Module, they get all the features of an A60 or A65 together with the patented HD Digital technology for fish-finding quests from Raymarine. With a 500-watt power output for the DSM25, out-of-town or long-distance anglers won’t have to worry about running out of power in the middle of their trip. Getting their A60/A65 and the Raymarine DSM25 Sounder Module to work together won’t be a problem either since the DSM25 comes with a simple plug-and-play format. Once your display lights up, you’ll be able to view a crystal-clear image of your target, the surrounding structure and bottom contour, reefs and wrecks in proximity, and a lot more. With Raymarine DSM25, both offshore and inshore performance is guaranteed thanks to the device’s 50/200 kHz dual frequency output. Installation of the DSM25 Sounder Module is made easy since the set includes an A60/A65 interconnect cable and instruction manual. For a complete system, choose an in-hull, through-hull, or transom mount transducer from Raymarine’s extensive line-up. Transom, In-Hull, Trolling motor and thru-hull transducer options. Uses the same family of transducers as the DS400X, DS500X and DS600X HD Digital Fishfinders. Max. Transmit Rate 1580 pulses per minute @ 50 foot range. 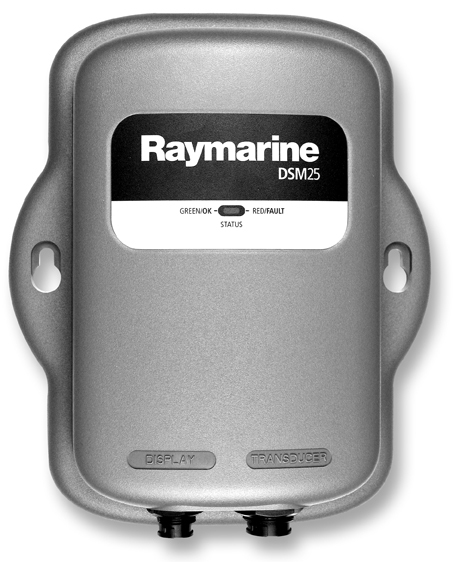 Click the button below to add the Raymarine DSM25 Digital Sounder Module to your wish list.